Finding a quiet place to write…i.e. Mission impossible. Falling in love with my hero (#swoon). When I have to kill a character. The bad guy gets caught! And, of course, the Happily Ever After…i.e. The “aww” moment. 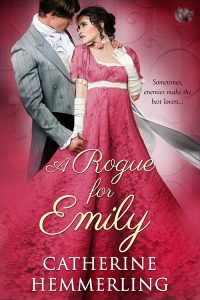 Check out Catherine’s newest release, A Rogue for Emily! Emily Moss cannot stand the roguish Alexander Bredon. As this season’s most desired debut, she could have any man she wants. Unfortunately, Lady Lancaster pairs her up with none other than the incorrigible man himself. 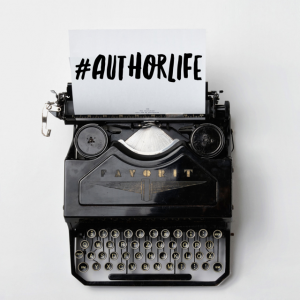 Catherine Hemmerling has spent most of her career as a technical writer in the software industry,but in the last few years has realized her dream of becoming a novelist. Every day she pinches herself to make sure her new life is real. 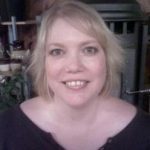 Living with her family in the hills of southern California, Ms. Hemmerling spends her days devising plot twists, agonizing over titles, and making a lot of new imaginary friends; and loves it. Lady Lancaster and her Garden Society have become some of Catherine’s closest friends. She hopes you fall in love with them as much as she has.